Tagesspiegel: Some of the approximately 300 participants of the German Sri Lankan Business Forum in Berlin felt like transferred to a fairy tale world, when Annette Heimlicher, CEO of the Swiss position sensor producer Contrinex, marvelled about her settlement experiences with the new government of the island in the Indian Ocean. In the beginning of 2015, the 550-employees of the high-tech company, which has been producing in China and Hungary already, was urgently looking for a new location. In February, the decision was made for a production in Sri Lanka, in April the factory was opened, and in May the first products were delivered. Now they have 120 employees there. Sri Lanka offered an incomparable pool of well-trained talents. “This is possible in no other country in the world,” said Heimlicher as she concluded her success story, thanking the settlement team of the government, for which the Development Strategies and International Trade Minister Malik Samarawickrama even added one up – they themselves were not yet happy with the speed. Sri Lanka, which for a long time attracted international attention, mostly with the bloody civil war in the north as well as with the autocratically governing President Rajapaksa, has courageous plans under the new government and far exceeding luring new tourists to the island. The private sector shall be the locomotive. The bilateral trade volume with Germany was 691.4 million euros in 2014, including 473.3 million for German imports from Sri Lanka and 2018.1 million for exports to the island. 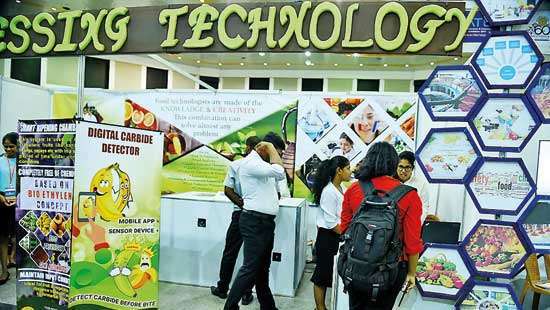 Rubber, fish, fruits, vegetables, herbs and plants for the pharmaceutical industry are on offer in the country – and a gigantic need for the infrastructure. 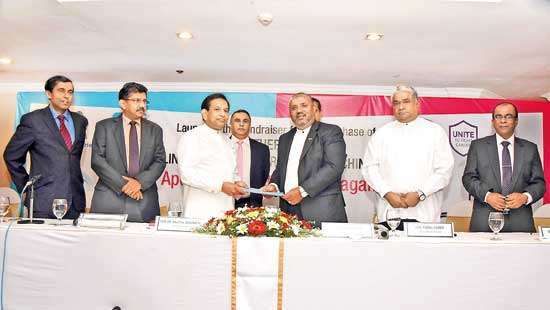 Several ministers were present for a discussion and even President Maithripala Sirisena in person, wearing traditional white clothes passed by at the business forum in the past week for a short half an hour. In the illusion of its paradise-like description, the Finance Ministry decided to ignore some countries, promising 15 percent the “lowest tax rate in the world”. 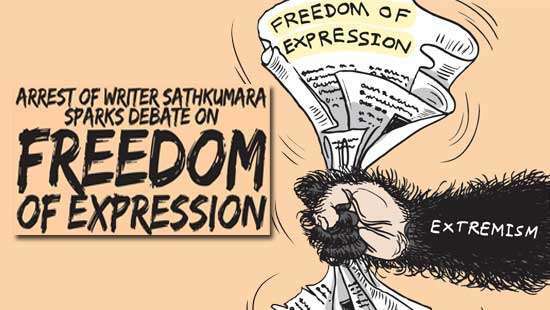 Obviously, the Federal Government is also happy about the man of hope, Maithripala Sirisena, who has been governing for one year now, and his new course, as became obvious during his first official visit. Federal Chancellor Angela Merkel called his way encouraging but also made it clear that she expects the reconciliation process with the Tamils to be permanent and sustainable. In May a German business delegation will travel to Colombo. Its focus will be on renewable energies, water power plants and industrial production. With German cooperation funds, the training of hotel experts is supported. Merkel also wants to talk about granting special preferences. German Development State Secretary Uwe Beckmeyer praised Sri Lanka’s new orientation in the direction of the West but also said that the government would need to begin some reforms for the benefit of the own population in order to justify the trust and make more German companies invest there. Before, Minister Samarawickrama had praised Germany as a model for his country, which he sees rising location, also because of the location at the ‘Maritime Silk Road’ making up a connection between India, Pakistan and China and thus a market with three billion people. The new ‘Megapolis’ Colombo was very family-friendly with good schools, beautiful landscape, nice people and a high air quality, he told the audience, which understood his remark on the smog of Delhi and Beijing. 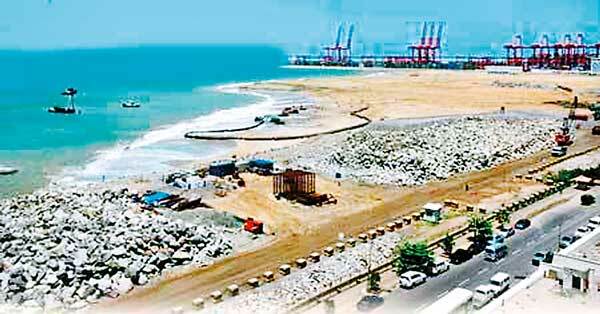 While the President had argued strongly against the so-called Port City in the capital planned by his predecessor and the harbour project in Rajapaksa’s home area in the south during his election campaign, now both projects are moved on. The Port City in Colombo was downgraded in an environment-friendly manner and the conditions in the contracts were changed for the benefit of Sri Lanka, the participants said. Some of the representatives of start-ups looking for certain originality like luxury individual tourists were somehow worried because of those plans. Will Sri Lanka in 10 years still be the lovable island the German travellers like so much? Some businessmen with production preferences worried if the energy supply with new power plants would keep in step, and if the prices of energy would remain affordable. But not only entrepreneur Heimlicher believes in good business. Siemens, which has been involved in Sri Lanka for 50 years, also expects lucrative investments because of the new gold-digging mood. The head of the city development branch of the company distributed happily high-quality brochures on the technical support of the Megapolis plans. “Now things will get really exciting in Sri Lanka,” the Siemens Manager said.